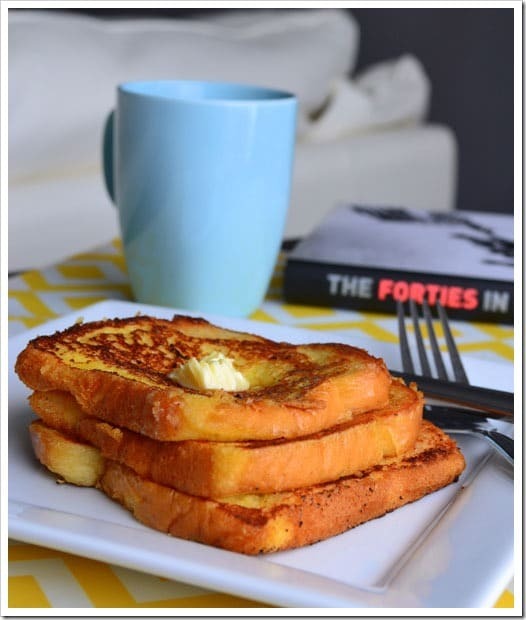 The mere mention of French Toast brings back a lot of memories of my mom dishing this out once a week at least and me happily chomping it down. 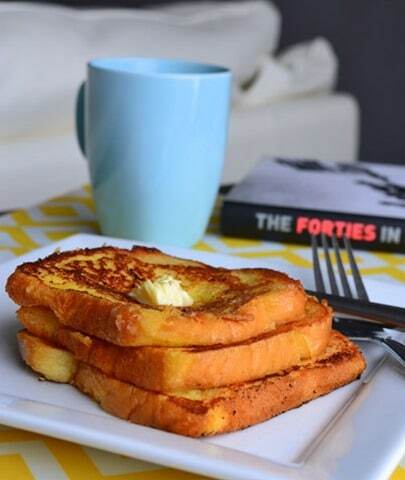 I have noticed the French Toast we get in IHOP is a little different from the one we make at home because the ones we find here are not sweet (maybe just a little) but they are accompanied by maple syrup whereas the ones we ate growing up are sweet since they have sugar in the batter. The recipe here includes sugar in the batter and can be served with a little sliver of butter. 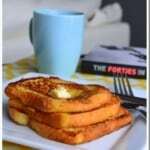 The Indian way to make French Toast at home! Beat eggs with a mixer, blender, beater or whisk until they are light, frothy and evenly colored. Add in milk, sugar, vanilla essence and mix well. Over medium-high heat, add a tablespoon of oil and 1/2 teaspoon of ghee to a shallow frying pan. Dip a slice of bread into mixture making sure both sides are evenly soaked. Fry on both sides until they are browned and cooked through. Repeat the process and add oil/ghee as needed.